A disappointment considering the awesome cast and initial conceit of adding a horror element to the classic western setting. We spend a vast majority of this slow paced endeavor listening to some average dialogue from dense characters at odds with each other, as they forcibly band together in a long trek. The ending finally introduces these weird unexplained killer cannibals and it becomes a dumb gore-fest. The actors and the gore were entertaining enough, but the whole movie was pretty underwhelming. Let's play Cowboys and Cavemen! It cannot be denied that Bone Tomahawk is a unique type of western. It's more focused on dialogue and atmosphere than action which will likely put off a lot of people that otherwise enjoy westerns, especially due to the film's very slow pace. This story could have easily been filmed under two hours but instead it's about 90 minutes into the plot we actually get a good look at the villainous troglodytes our heroes are after. Yes there's trogs in this movie. No posts have been made on this movie yet. 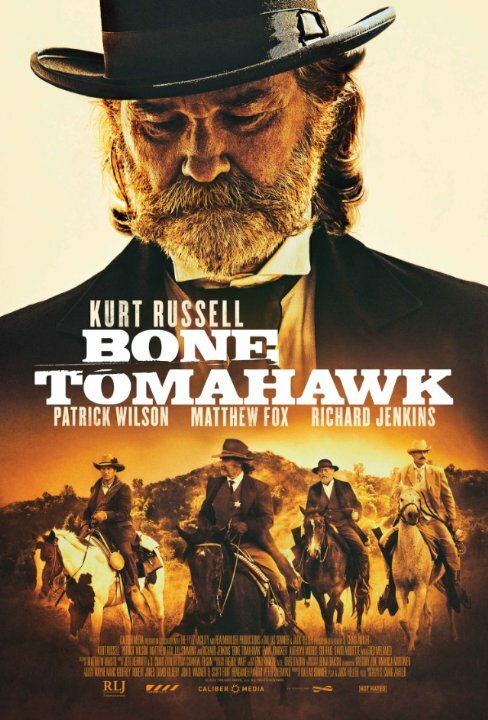 Be the first to start talking about Bone Tomahawk!